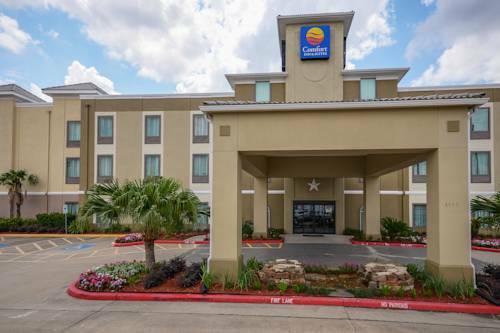 The Comfort Inn and Suites FM1960-Champions hotel in Houston, TX is in the northwest Houston Champions area, close to many attractions and restaurants. Guest rooms include a microwave, refrigerator, 42-inch flat-screen television with movie channel and free wireless Internet access. Hotel amenities include a free full hot breakfast buffet, fitness center, outdoor pool and hot tub. - David Wayne Hooks Arpt.